BIG news in car seat safety today! Britax today announced a full redesign and relaunch of its line of best-selling convertible car seats. The new line offers Superior 360 Degree Protection with Revolutionary Head Safety Technology that dramatically reduces the risk of head injury and provides complete protection from all sides in the event of a vehicle crash. Head safety is critical because even tiny increases in head excursion — the distance the head travels forward during the crash — can exponentially increase the risk of head injury. Head injury is the leading cause of death for children up to 12 years old involved in vehicle crashes and comprises 65 percent of injuries in both frontal and side impact crashes, according to Child Injury Led Design and Children’s Hospital of Philadelphia. With this in mind, Britax designed its new line to help prevent real world injury for children and make it that much easier for parents and caregivers to use their children’s car seats correctly each and every time. A re-engineered lower center of gravity that allows the child to sit lower and creates stability in the event of a crash. Integrated steel bars that strengthen the connection to the vehicle and reduce forward flexing of the child seat during a crash. Patent-pending Britax SafeCell™ Technology with SafeCells that are designed to compress in a crash. This significantly lowers the center of gravity and counteracts the forward rotation of the child seat, which normally propels the child toward the front seat. Energy-Absorbing Versa-Tether® with a two-point attachment and staged-release tether webbing to anchor the top of the car seat. This minimizes forward-rotation and reduces crash forces reaching the child. As the leader in pioneering side impact technologies, Britax designed its new line to improve upon its Side Impact Protection (SIP) and True Side Impact Protection® (TSIP). 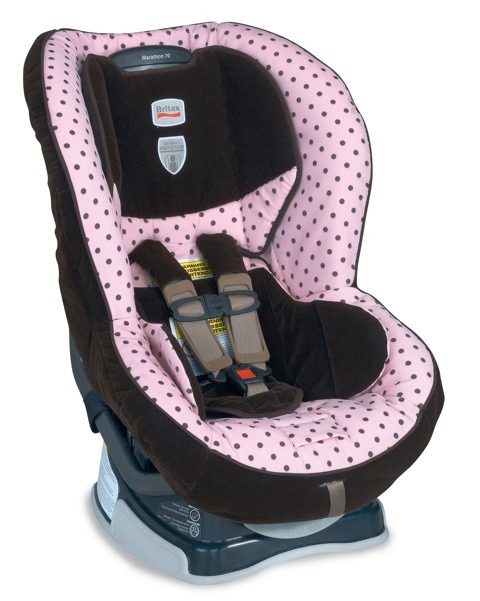 The car seats feature deeper side walls lined with energy-absorbing EPP foam that distribute crash forces, shield from vehicle intrusion, and contain the head, neck and body. 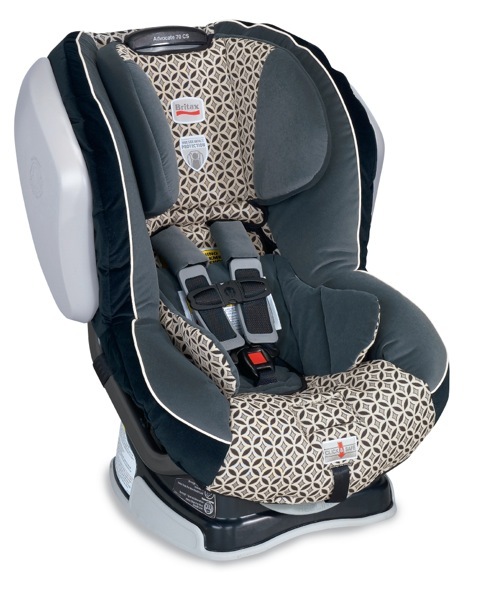 Britax TSIP car seats also offer a head restraint that creates an extra layer of energy-absorbing EPP foam, keeping the head, neck and spine “in true” or aligned. This protection is imperative, as approximately one in four of all motor vehicle crashes that involve children occur from the side, and these result in a significantly higher injury rate than frontal or rear impacts, according to the Children’s Hospital of Philadelphia. In addition to enhanced side impact protection, the new line offers higher weight capacities to keep children rear facing longer and to allow for extended use of a five-point harness. 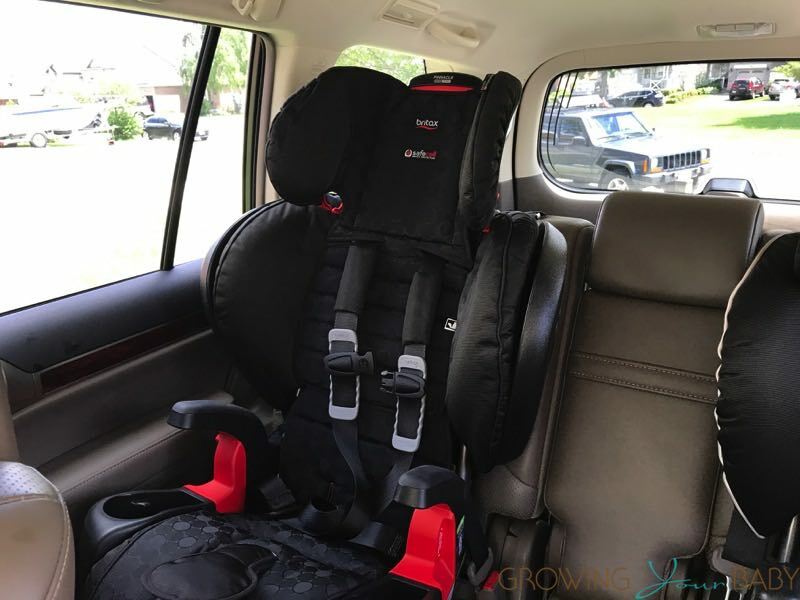 The convertible car seats can accommodate children from between 5 and 40 pounds rear facing and up to 70 pounds forward facing, and the mid-capacity convertible allows children to sit forward facing up to 55 pounds. The new seats offer a harness position that helps position the harness at or below baby’s shoulder, and an infant insert is available separately to properly position the infant and protect the airway. They will be available in a variety of fashions at independent and mass retailers in August 2010. Britax To Introduce Sleek New Stroller: The B-Ready!